I'm a little late getting this posted for this week, well not actually since I never said there was a specific day the SVG projects would post but I usually like to have them available by Monday so in my mind it's a little late. For this weeks project we have a card, maybe that's a little obvious, but of course the cuts could be used for whatever project you want. At first I thought about stamping a clock or something in the background but then I decided the cherry blossoms would probably cover them up so I just left the "wallpaper" alone and kept the focus on the blossoms. 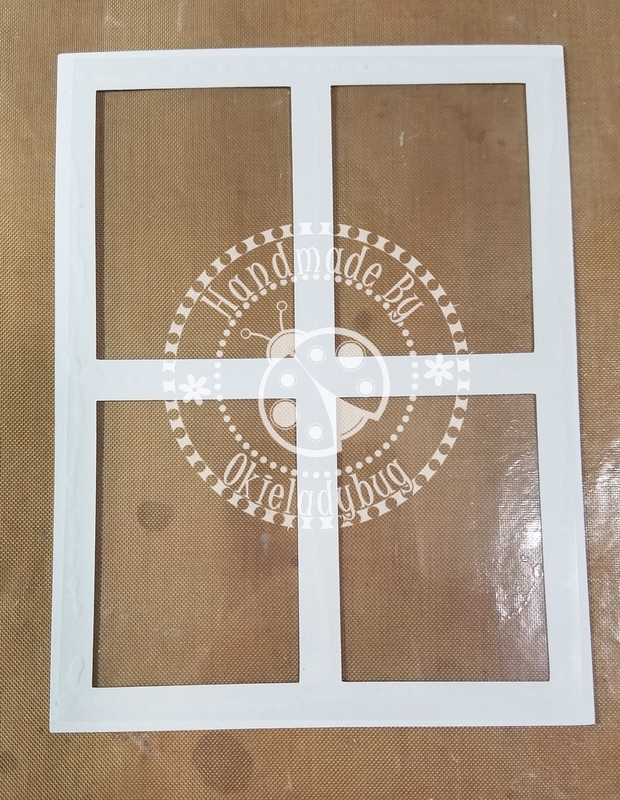 I cut two of the window frames and glued the transparency sheet in between the frames and one frame probably would have been fine. 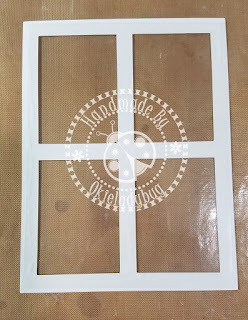 I added mounting foam on the back of the frame and transparency sheet so it would give a 3D effect to the window. I used Stampin Up Regal Rose ink to color the vellum and did this after cutting the flowers. 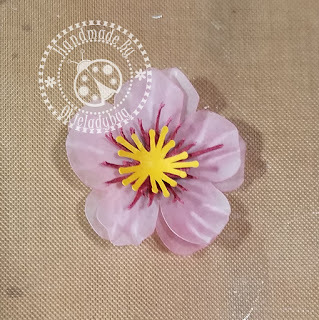 To help shape the flowers I used my McGill Paper Blossom Tools, if you like making flowers these are a life saver and really aid in bringing flowers to life. I also used them on making the vein on the leaves down the center. With the leaves I needed to lightly mist with water but for the vellum no misting was necessary and it often curls quite a bit if misted. 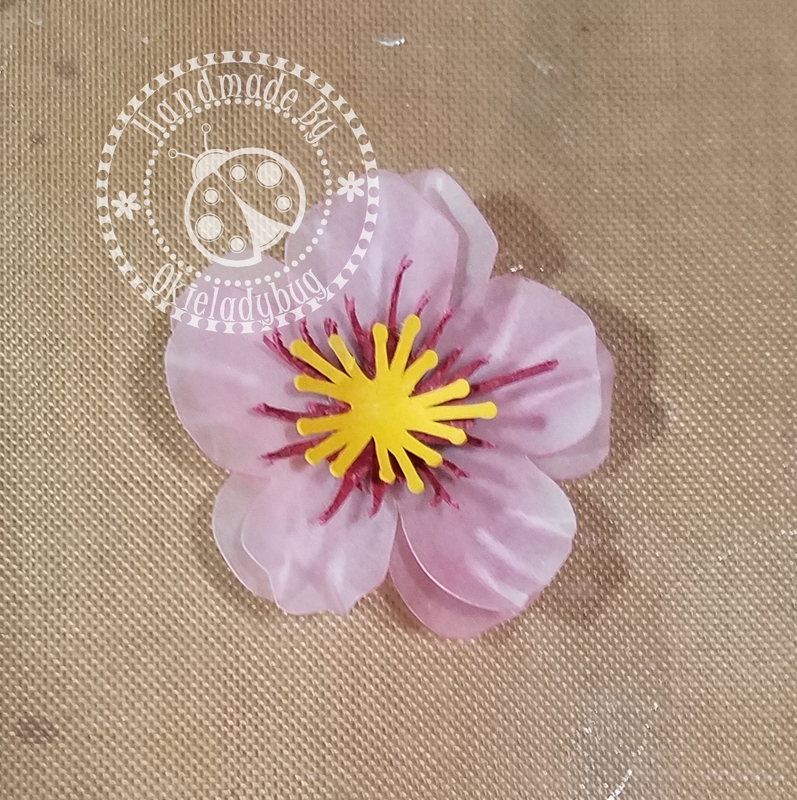 I used one of the small balls to add the veins in the cherry blossom and it probably wasn't necessary to do but I do like how it looks. Hope you guys enjoy this one and someone uses it! 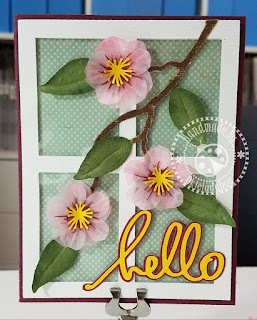 And once again this file is only available though the Cricut Design Space Paper Crafting group and will be available for download until next week's file is posted. AND PLEASE...IF YOU DOWNLOAD THE FILE PLEASE AT LEAST LEAVE A THANK YOU! Awesome! Great idea to make the flowers out of vellum! I will have to try this! Thanks! Thank you so much for all of your excellent instructions. I hope to make these soon. WELL, THAT ISN'T A FREEBEE BUT A GOOD IDEA. It is free to anyone who is in the Cricut Design Space Paper Crafting group as stated at the end of the post. What a beautiful card! Thank you for sharing. Thank you for posting your projects.